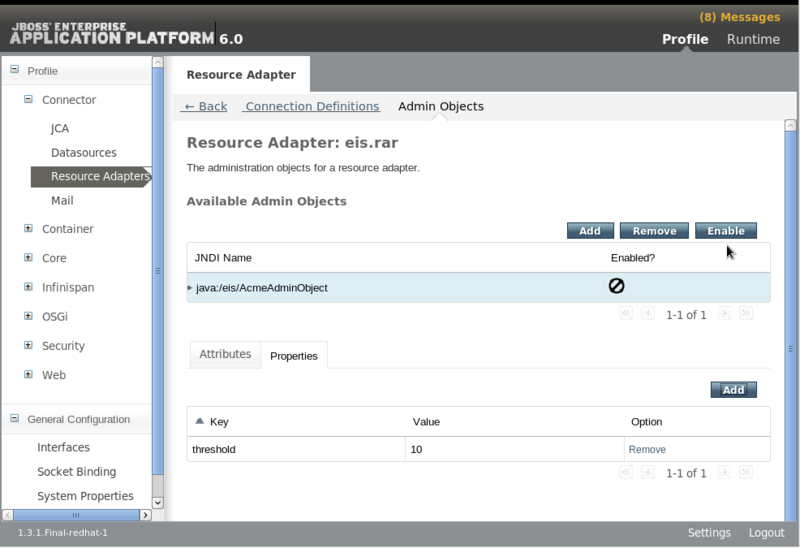 JBoss administrators can configure resource adapters for JBoss Enterprise Application Platform 6 using the Management CLI tool, the Web-based Management Console, or by manually editing the configuration the files. 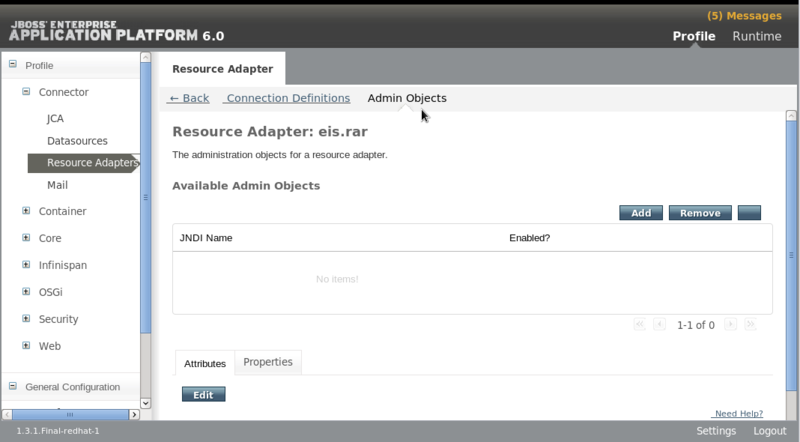 Refer to the vendor document for your resource adapter for information about supported properties and other details. Open a command prompt for your operating system. Connect to the Management CLI. Add the resource adapter configuration. Configure the server resource adapter level <config-property>. 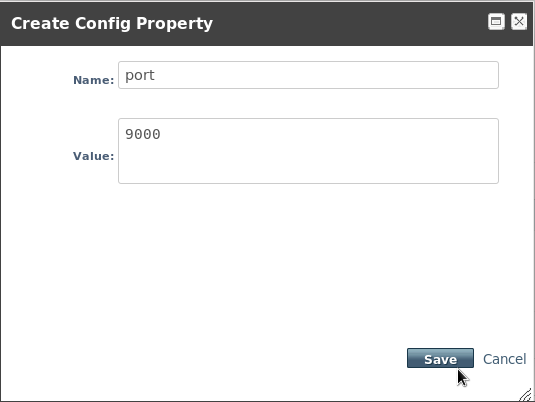 Configure the port resource adapter level <config-property>. Add a connection definition for a managed connection factory. Configure the name managed connection factory level <config-property>. Configure the threshold admin object property. 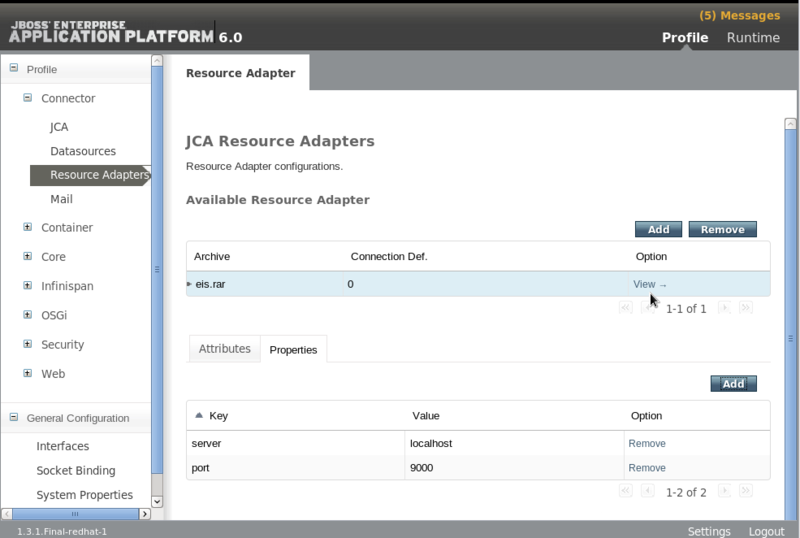 View the newly configured and activated resource adapter. Start your JBoss Enterprise Application Platform 6 server. If you have not yet added a management user, add one now. For more information, refer to the Getting Started chapter of the Installation guide for JBoss Enterprise Application Platform 6. Open a web browser and navigate to the Management Console. The default location is http://localhost:9990/console/. 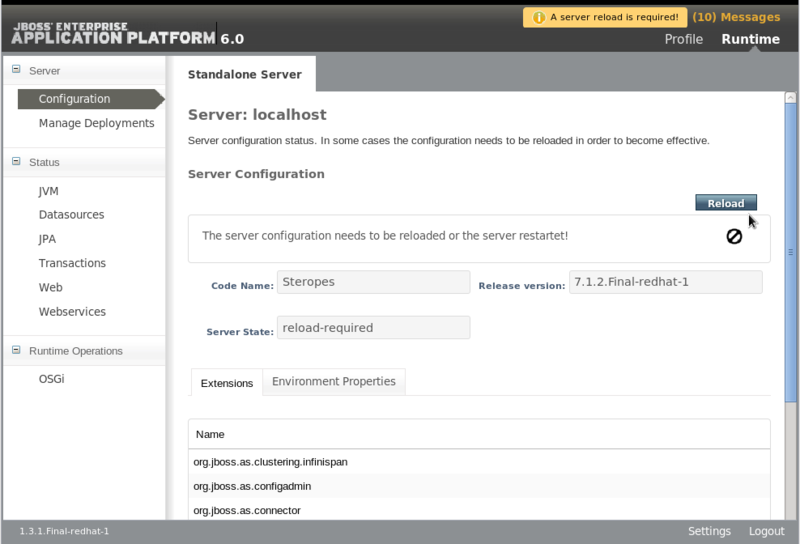 For more information about the Management Console, see Section 3.2.2, “Log in to the Management Console”. Click on the Profile link on the top right to switch to the Profile view. Choose Resource Adapters in the left navigation panel, then click Add at the top right. 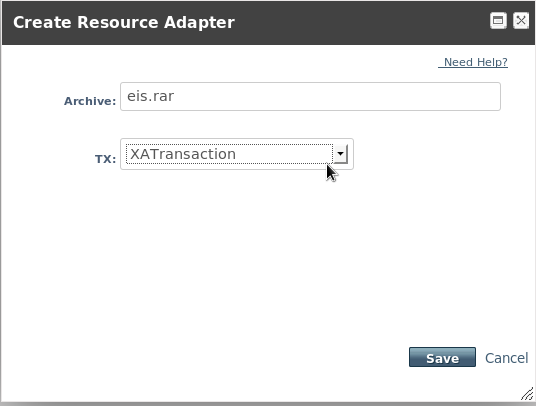 Enter the archive name and choose transaction type XATransaction from the TX: drop-down box. Then click Save. Select the Properties tab, then click Add to add resource adapter properties. Enter server for the Name and the host name, for example localhost, for the Value. Then click Save to save the property. Enter port for the Name and the port number, for example 9000, for the Value. Then click Save to save the property. The server and port properties now appear in the Properties panel. Click the View link under the Option column for the listed resource adapter to view the Connection Definitions. Click Add in the upper right side of the page to add a connection definition. 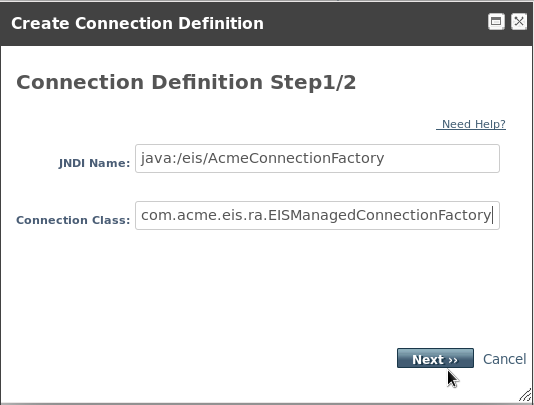 Enter the JNDI Name and the fully qualified class name of the Connection Class. Then click Next. 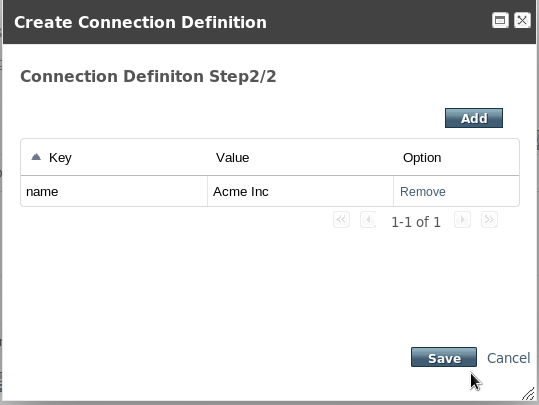 Click Add to enter the Key and Value data for this connection definition. Click in the name field under the Key column to enable data entry for the field. Type the property name and press enter when done. Click in the value field under the Value column to enable data entry for the field. Enter the value for the property and press enter when done. Then click Save to save the property. The connection definition is complete, but disabled. Click Enable to enable the connection definition. 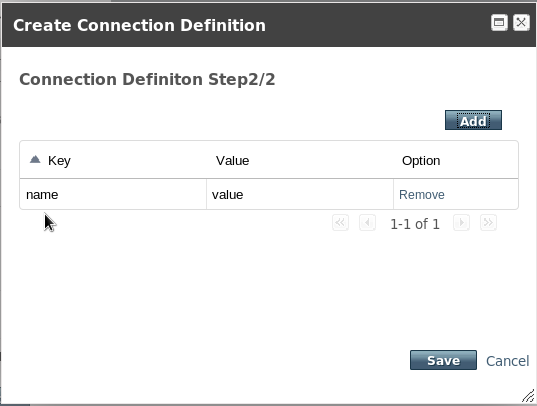 A dialog asks "Really modify Connection Definition?" for the JNDI name. Click Confirm. The connection definition should now appear as Enabled. 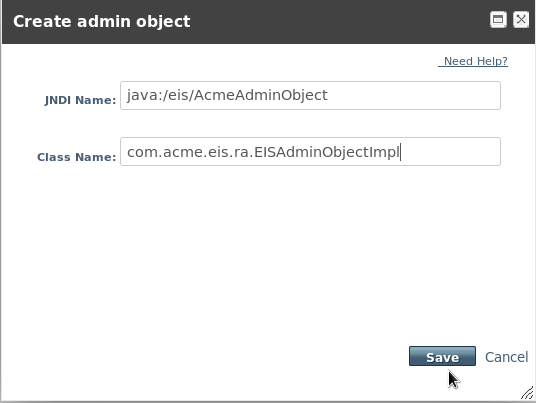 Click the Admin Objects tab in top middle of the page to create and configure admin objects. Then click Add. Enter the JNDI Name and the fully qualified Class Name for the admnin object. Then click Save. Select the Properties tab, then click Add to add admin object properties. 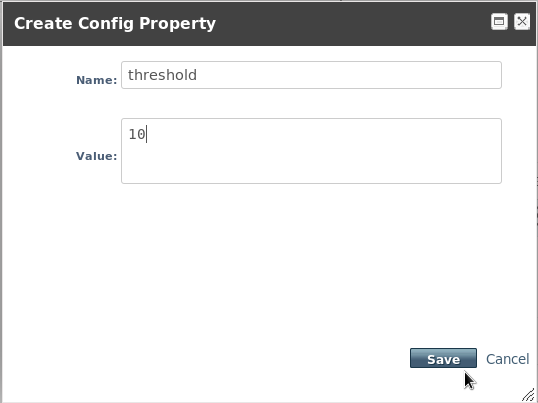 Enter an admin object configuration property, for example threshold, in the Name field. Enter the configuration property value, for example 10, in the Value field. Then click Save to save the property. The admin object is complete, but disabled. Click Enable to enable the admin object. A dialog asks "Really modify Admin Ojbect?" for the JNDI name. Click Confirm. The admin object should now appear as Enabled. You must reload the server configuration to complete the process. Click on the Runtime link on the top right to switch to the Runtime view, then choose Configuration in the left navigation panel, and click Reload at the right. A dialog asks "Do you want to reload the server configuration?" for the specified server. Click Confirm. The server configuration is up to date. 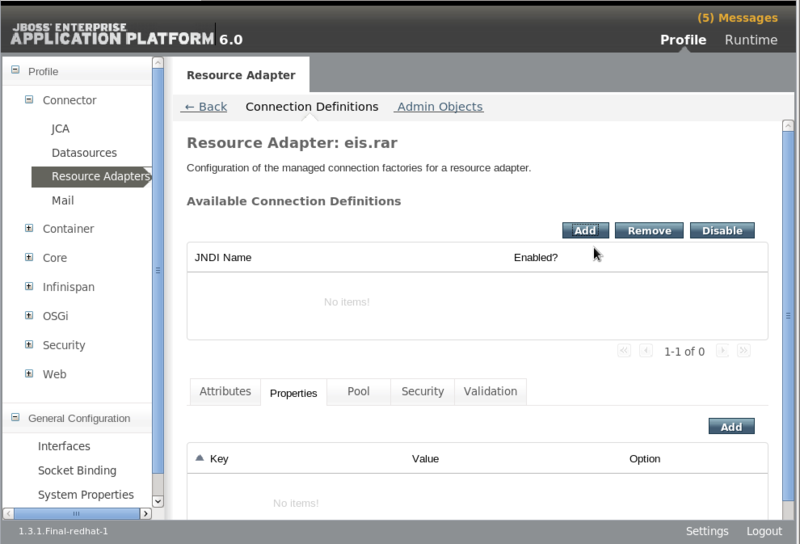 Stop the JBoss Enterprise Application Platform server. You must stop the server before editing the server configuration file for your change to be persisted on server restart. Open the server configuration file for editing. For a standalone server, this is the EAP_HOME/standalone/configuration/standalone.xml file. For a managed domain, this is the EAP_HOME/domain/configuration/domain.xml file. 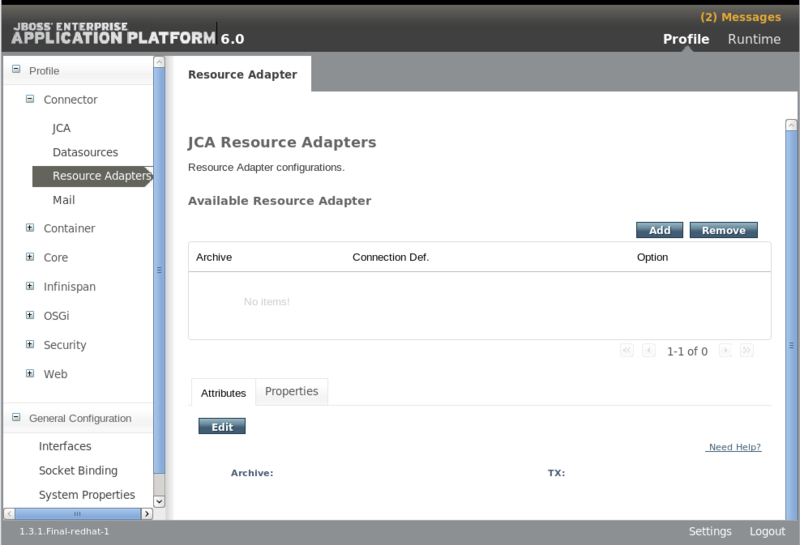 Replace the <!-- <resource-adapter> configuration listed below --> with the XML definition for your resource adapter. The following is the XML representation of the resource adapter configuration created using the Management CLI and Web-based Management Console described above. 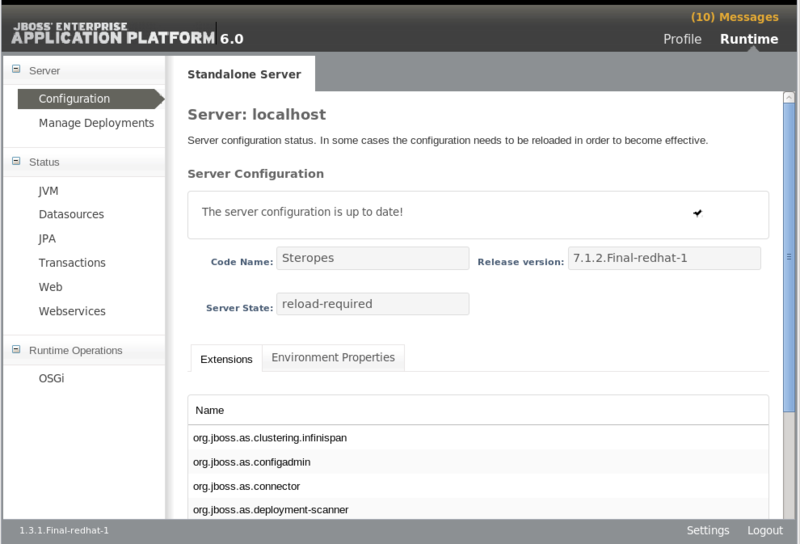 Relaunch the JBoss Enterprise Application Platform server to start it running with the new configuration.